Let's write a Python function with OpenFaaS that executes hello-world and then move onto something more. We'll start by deploying OpenFaaS on our machine and then we'll install the CLI and write the handler for our function. OpenFaaS is democratising serverless functions - through Docker containers. You can read my Introduction to Functions as a Service here. If you already have FaaS and the CLI configured, skip to step 3. If you head over to Github you will find full instructions on how to launch OpenFaaS on Docker Swarm or Kubernetes. For this post we'll use with Swarm, but the instructions are effectively the same once FaaS is deployed. Initialize Swarm mode on your Docker daemon. If you have more than one Ethernet adapter, Swarm may ask you to select one via the --advertise-addr parameter. The default stack contains sample functions, you can play with them via the UI at http://localhost:8080. You can try out the functions in the UI, for instance The function named func_hubstats will tell you how many Docker Hub images a user has. I typed in my user account and found out I have almost 200 already! The CLI is a convenient way to interact with your functions. You can use it to build and/or deploy functions to your cluster. If you're using Windows, then you're not out of luck, you can actually find the Windows executable on the FaaS releases page. All your functions should be specified in a YAML file like this - it tells the CLI what to build and deploy onto your OpenFaaS cluster. gateway- here we can specify a remote gateway if we need to, what the programming language is and where our handler is located within the filesystem. lang: python - even though Docker is used behind the scenes to package your function. You don't have to write your own Dockerfile unless you want to. So let's build the function. If you're trying thing out on a single host, then you don't need to push your images to a registry, they'll just be used from the local Docker library. If you are using a remote server or a multi-node cluster then you can push your function's image to a registry or the Docker Hub. The Docker Hub is a free service provided by Docker Inc for sharing container images over the Internet. You'll also need to image the image: name to include your Hub account such as image: alexellis2/hello-python. Once you have multiple functions you can also use the --parallel argument to speed things up. $ curl localhost:8080/function/hello-python -d "it's Alex here"
You can even use the faas-cli to list and invoke your functions. So what if you need some dependencies to add behaviour beyond the standard Python libraries? Well you can use pip by providing a requirements.txt file along with your function handler. Let's include the popular requests module which we can use to interact with webpages. Then just rebuild, (re-push if needed) and re-deploy. *This time you'll see pip installing your function's modules such as requests. You can also access the function just as easily via the UI. If your function has a lot of logs, then prefix this with --tail 20. Use -f if you want to stream them. If you're still getting the error docker service logs --no-trunc=true hello-python will give a bit more info. If the above didn't help then Docker Swarm has a known issue around re-creating Swarm services, you can work around it by running the deploy command a second time. Now that you've built your first function, why not checkout some of the examples built by the OpenFaaS community? You can share your first serverless OpenFaaS function with us on Twitter or Github. Want to know more about the OpenFaaS Serverless framework for containers? 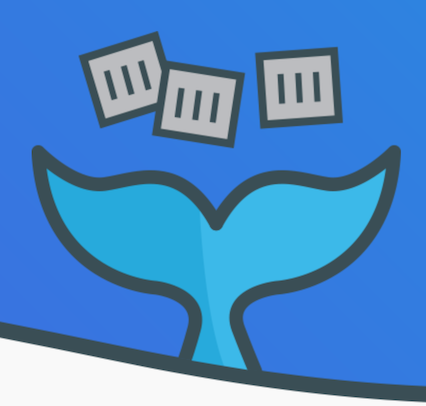 If you want to learn more about Docker for DevOps and developers, checkout my Docker series.